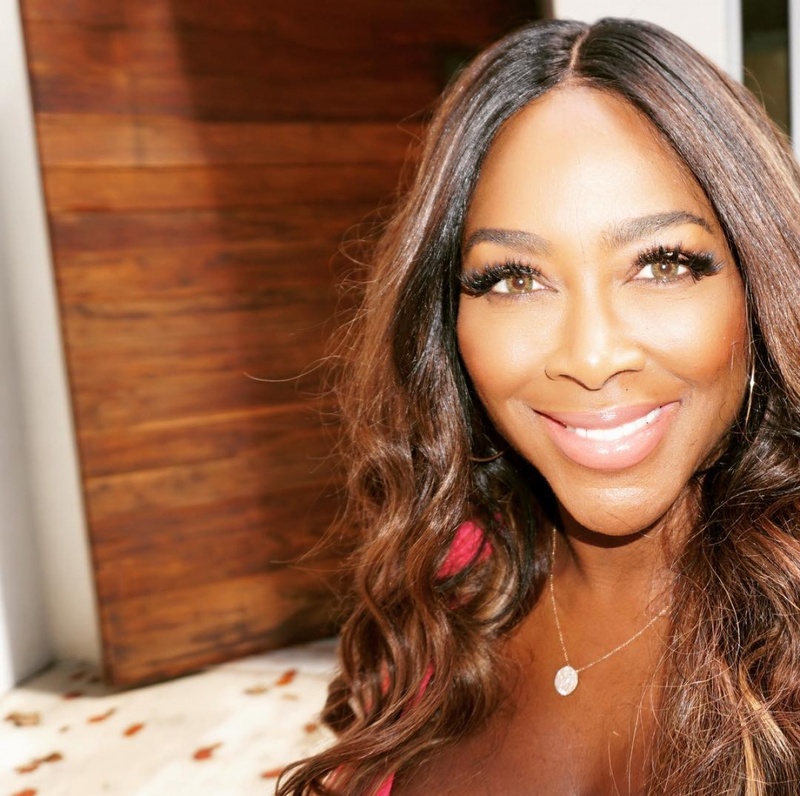 The 47-year-old "The Real Housewives of Atlanta" star took to Instagram Sunday after welcoming a daughter, Brooklyn Doris, with husband Marc Daly. "#BrooklynDorisDaly is here!" the new mom wrote. "She's so perfect and strong! Marc was incredible in the deliver room. I lost a lot of blood so I'm very weak but they both were strong for me." "God is so good. We are blessed and doing well," she added. "My heart is so full at the abundance of love for our family! We love you all. #TheDalys #babydaly #BrooklynDaly #family #love." "The Real Housewives of Atlanta" star told People she gave birth Sunday after experiencing pregnancy complications, including preeclampsia. She also explained the meaning behind Brooklyn's name. "Brooklyn because that's where we met and fell in love, and Doris after my grandmother who passed away last year and who raised me," Moore said. Moore confirmed her pregnancy during "The Real Housewives of Atlanta" Season 10 reunion in April. Her co-stars Porsha Williams, Cynthia Bailey, Kandi Burruss and other friends and family gathered in October to celebrate at a baby shower. "Words cannot express the joy and happiness I feel in my heart. So overwhelming to have a room of people who came to celebrate the impending life of #babydaly," Moore said at the time. Williams herself is expecting with her fiance, Dennis McKinley.